Home » Health » What Is Tinnitus? Tinnitus is a ringing sound in the ear. It is not a disease, but a symptom of certain health conditions, such as ear injury, impaired circulatory system, or decreased hearing function that occurs with age. Tinnitus is a condition that can be experienced by all people of all ages. However, these symptoms are commonly experienced by older people aged over 65 years. Tinnitus is generally characterized by the appearance of a ringing sound in the ear, but can also be a hissing sound, or even whistling. This sound can be heard on one or both ears of people who experience it. Most tinnitus sounds can only be heard by the sufferer. However, sometimes there can also be heard by doctors who check the condition of the patient's ears. The sound interferes with calmness or daily activities, such as being sleepless or depressed. Tinnitus arises after we have an infection of the upper respiratory tract (eg flu), and does not improve within 7 days. 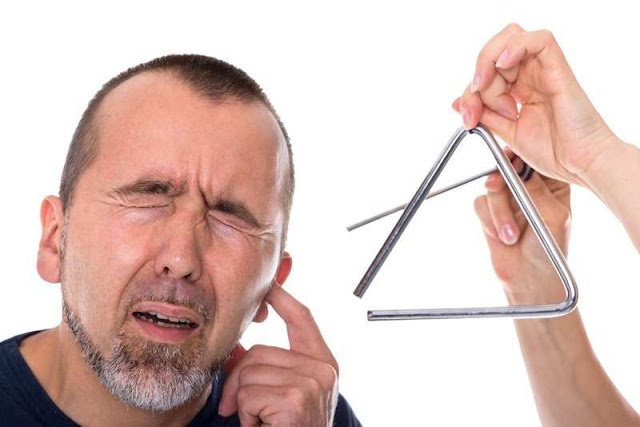 Tinnitus is accompanied by dizziness or hearing loss. Damage to the inner ear. This is the cause of most of the tinnitus. Under normal conditions, the sound coming into the ear will be sent to the brain by the auditory nerves after previously through a spiral cavity called cochlea. If there is damage to the cochlea, the process of delivery of sound waves will be cut off and the brain will continue to look for signals from the remaining cochlea causing the tinnitus sound. Hearing loss due to age. Sensitivity of the auditory nerve will decrease with age so that our hearing quality will decrease. Exposure to loud sounds or sounds, for example hearing loud music through earphones , factory workers handling heavy machinery, or hearing an explosion. Short-term exposure will usually lead to self-depleted tinnitus. While long-term taxes have the potential to cause permanent damage. The buildup of dirt in the ear. This will block the hearing and can trigger irritation of the eardrum due to the growth of bacteria. Infections in the middle ear. Side effects of certain medications, such as antibiotics, quinine , certain antidepressants, and aspirin. Cardiovascular disorders, such as hypertension or atherosclerosis. Tinnitus examination and diagnosis is generally performed by ENT (Ear, Nose and Throat) doctors. The doctor will ask the patient to describe the type of sound that is heard, ask for medical history, measure the severity of tinnitus, and check the condition of the patient's ear. Further tests that are usually performed include hearing evaluation, blood tests, CT scans , and MRI. The series of checks is to make the diagnosis at once to find the cause of tinnitus. The doctor will replace the drugs used if the tinnitus that appears is a side effect of drugs. If the accumulation of earwax proves to be a trigger for tinnitus, your doctor may recommend an ear cleansing method or give ear drops to overcome it. Sound therapy, for example, uses other sounds (such as radio sound or rain recording) to cover the tinnitus sound experienced. Tinnitus retraining therapy (TRT). In this therapy, patients will be trained to familiarize themselves with the tinnitus sound experienced. Cognitive behavioral therapy (CBT) for the mindset of the patient to tinnitus can be changed so as to avoid stress and depression. In addition to medical therapy, there are also a number of ways that can be applied at home to help control tinnitus. Some of these are to avoid tinnitus triggers whenever the cause is known, listening to soothing music, looking for a distracting hobby, reducing alcohol consumption, or relaxation (such as meditation and yoga). 0 Response to "What Is Tinnitus?"